Proud of our agency’s services and the staff in our network – we are Best Companion Homecare Services, Inc. Our commitment lies in providing quality care services delivered straight to our client’s homes. Through cost-effective, well-structured and patient-centered health services, we contribute to the speedy recovery of patients at home. This is our way of being a helpful member of the communities in the services areas we cover. We believe that the satisfaction of our clients is a testament to our level of achievement as a home health agency. Because of this belief, we seek ways to address the unique needs of our clients. New York is our community – we love our fellow members of such community and will go through great lengths to be there for them when they need us. Through the efforts of our skilled nurses, therapists and aides, we address the health care demands of the state no matter how unique each client’s health management requirements may be. In doing so, Best Companion Homecare Services, Inc. conducts an individualized health assessment which is part of the development of the over-all care plan. By providing accurate health care services in the clients’ homes, we hope to achieve their full recovery sans the prolonged admission into a hospital or nursing facility. According to the National Association for Home Care (NAHC), “Home Care” is defined as a collective term used for a wide range of health care, personal care and social work services. Home Care is a preferred choice for many individual clients and families nowadays given its affordability and flexibility. It can treat clients despite the varying health conditions – from injuries, disabilities, nursing care needs, old age, chronic illness, specialized therapy, developmental/cognitive deficiencies and, in worse cases, terminal illness. Over the years, Best Companion Homecare Services, Inc. has been providing an outstanding level of care and assistance to the residents of its service areas. 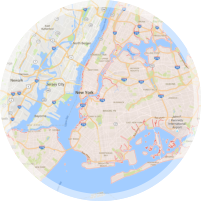 Serving Bay Shore, Garden City and Riverhead New York is our pleasure and satisfied clients motivate us to pursue improvement and development in our chosen profession. Because of our dedication to caring for clients at home, we lead the home health care industry and set an example for other health care providers. You may have a family member who is in need of home care. His or her physician may have recommended nursing care, therapy or personal care services due to their condition. You might also have a parent or grandparent who struggles with old age. Whatever your situation maybe, Best Companion Homecare Services, Inc. considers it an honor to be chosen as the care provider for your family. We know that there are many options available that you may have chosen otherwise – but home health care is definitely the best one for you. It allows you and/or the patient to determine the type and level of care that you receive from our staff. The best part is, you no longer have to travel to the care facility or be confined in the hospital to access the quality care you deserve. In the comfort and privacy of your own home, Best Companion Homecare Services, Inc. is here for you. Call us at 631-993-4001 to inquire about the availability of our services in your area.